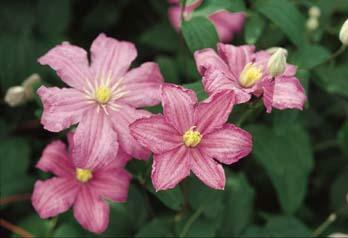 Comtesse de Bouchaud Clematis: loads of rosy-pink flowers in mid summer. .
Comtesse provides loads of rosy-pink flowers in mid summer. .
Barbara Harrington and the lovely white John Huxtable. Plant all three together for a delicious combination.